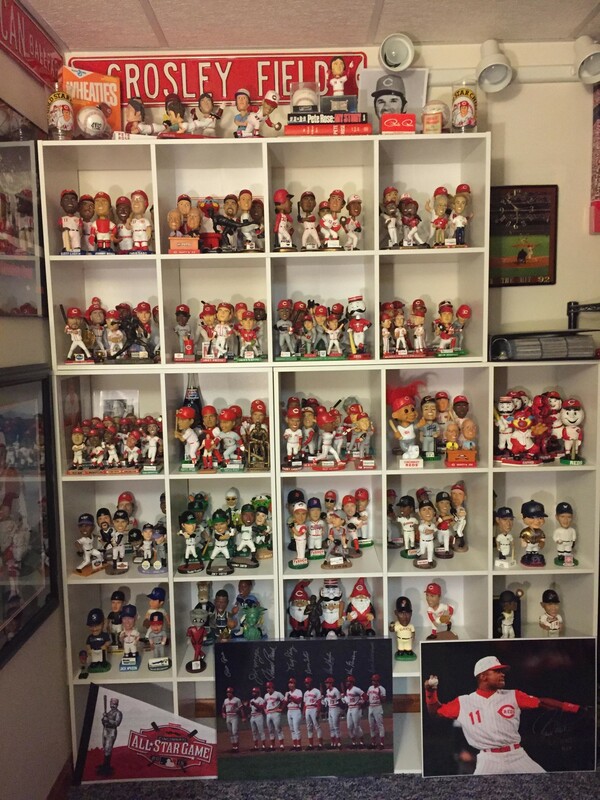 Description: Nick's collection started when he attended a 2005 Cincinnati Reds SGA game when he was 10 years old. It then became a ritual for him to attend every SGA game after that, and his love for bobbleheads skyrocketed. Other Information: Nick and his twin, Zack, started a lawn mowing business when they were 13 to raise funds to track down all of the Reds SGAs prior to 2005, and both successfully obtained every Reds SGA ever given away. They have also both managed to collect every bobblehead the Reds Hall of Fame has ever given away. From there, Nick also pursued bobbleheads given away by Reds minor league affiliates, rare Cincinnati Reds or Big Red Machine bobbleheads, and any other bobblehead that catches his eye. 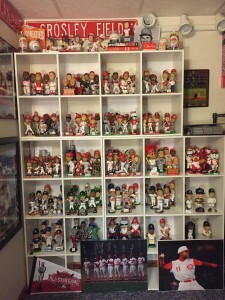 Between the two, they have over 350 bobbleheads and new additions are consistently being welcomed!